Don’t worry about finding a space as our trusted team (our Viking valets) will park your car for you. The secure car park is closer than any off-site car park and 24/7 free shuttles buses are ready to take you to the terminal in no time. After a vehicle scan from our camera system, you’ll leave your car in a drop-off lane for our trusted team to park for you. After leaving your keys at our car park reception, a shuttle bus will take you over to the terminal. 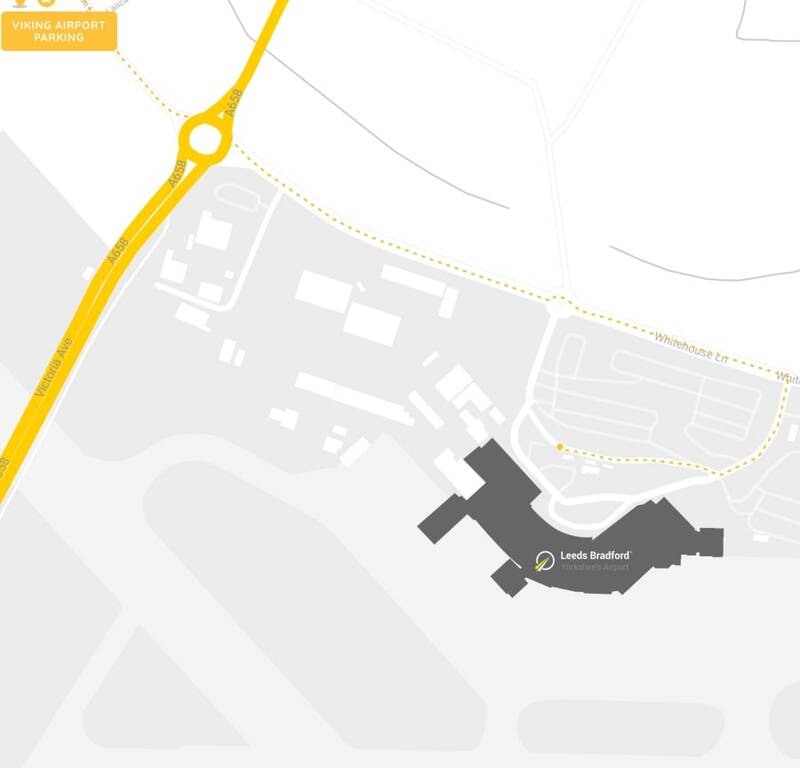 The car park is located on Warren House Lane just off the main airport roundabout at Leeds Bradford Airport. The postcode for the car park is LS19 7FT. See our parking map here. The shuttle bus transfer takes 2 minutes to the dedicated Viking Airport Parking stop. Please note this is also where you will be picked up on your return journey. The service was excellent from booking, drop off, right through to collection home. The location was easy to find, dropping off was straight forward and hassle free. The staff were all very friendly and the shuttle service quick and easy, door to door. I'll definitely be using Viking again for my next trip. So we can provide the best possible service, Viking Airport Parking is not available to turn up. To use this car park please ensure you pre-book online.